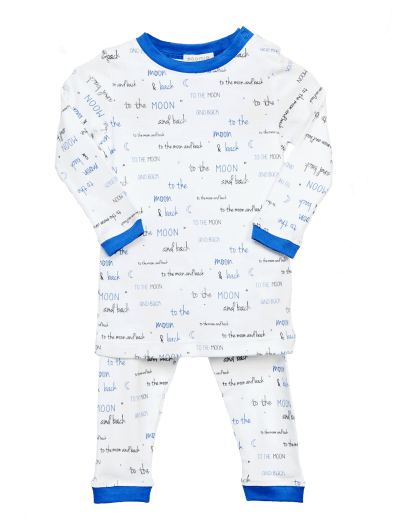 Baby Noomie proudly offers an adorable Moon and Back baby clothes collection for girls and boys. 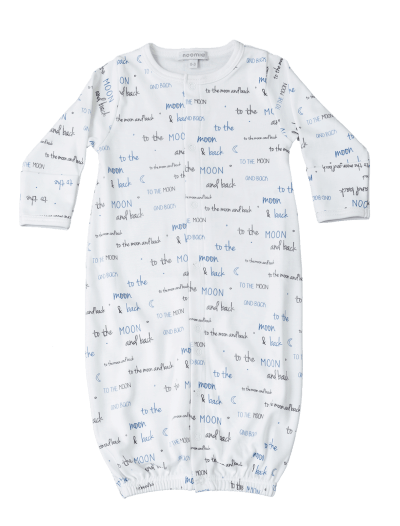 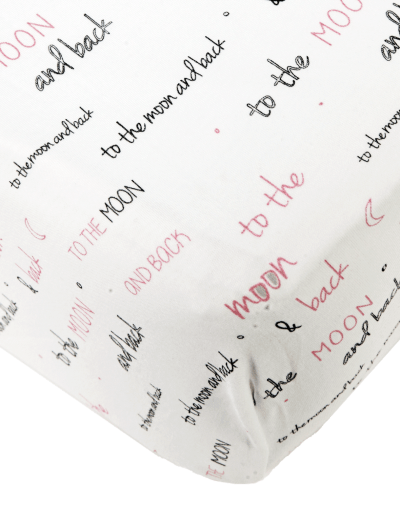 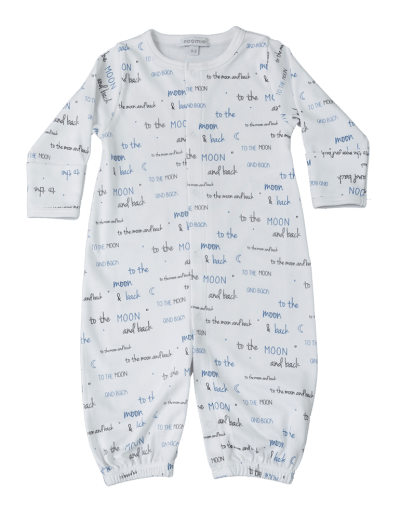 The gorgeous design on our Moon and Back children’s clothing is a friendly reminder to your little one that your love extends all the way to the stars! 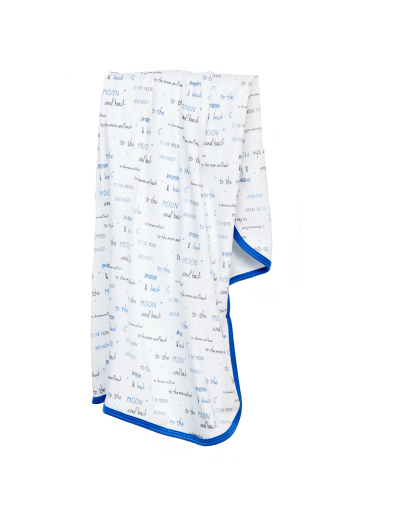 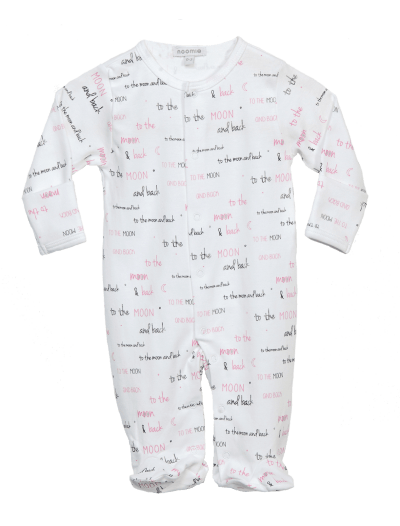 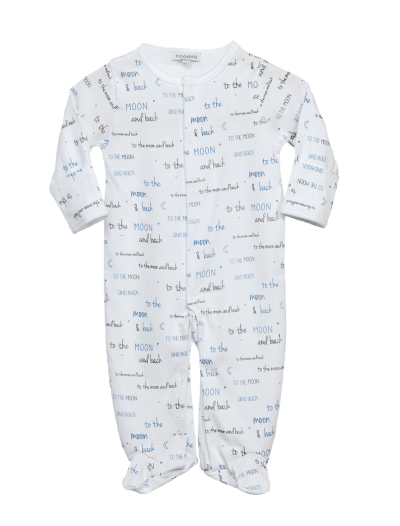 We carry convertible gowns, footies, and crib sheets for infants and two-piece PJs for older kids. 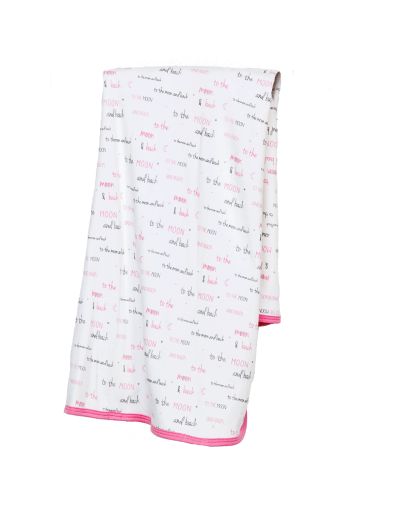 We also offer blankets for kids of all ages! 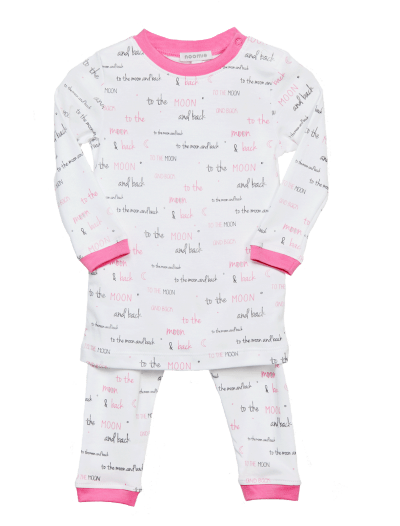 We construct all of our items from cuddle-soft Pima cotton. 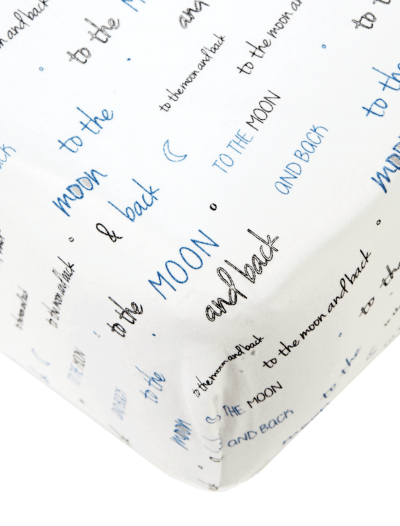 It’s the best material for our Moon and Back children’s clothing and accessories because it’s gentle yet durable. 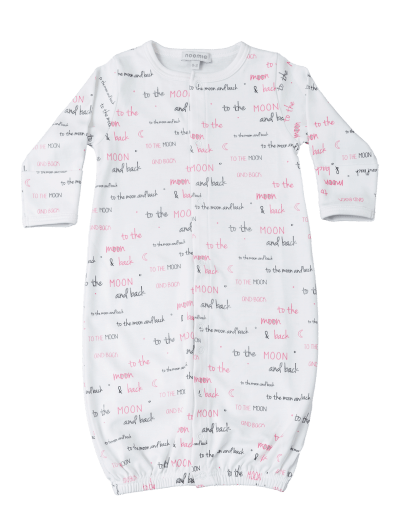 This modern collection is a favorite among parents and kids—shop our Moon and Back baby clothes now.